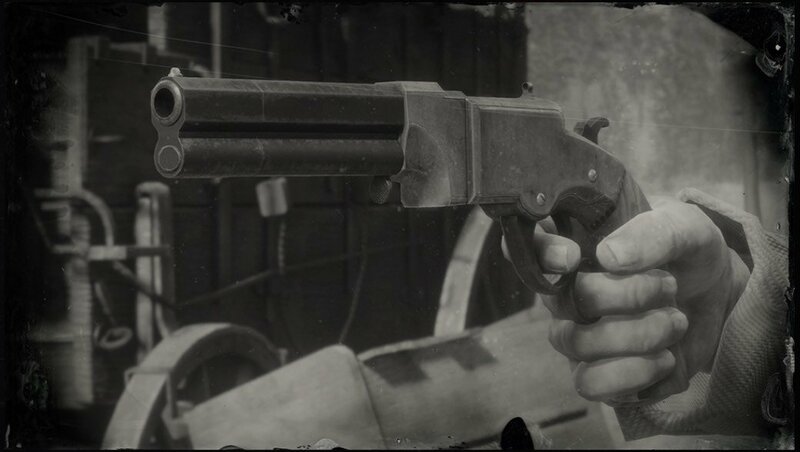 Volcanic Pistol is a Handgun in Red Dead Redemption 2. The Hutton & Baird Volcanic Pistol combines the stopping power of a repeating rifle with the portability of a sidearm. Although the accuracy is good, the slow firing rate and reload speed mean that you'd better hit your target with the first shot. This gun has an ammo capacity of eight rounds, and can use Regular, High Velocity, Split Point, Express and Explosive pistol ammo. Available for purchase at any Gunsmith for $? ?, or for free with RDR2 "Special Edition" or better. Gunsmith will clean your weapon for a relatively low price, however the price will vary depending on the wear on your weapon at that point. Weapons can only be customized at the Gunsmith after they have been cleaned. Bubinga Cocobolo Ebony Walnut Mahogany Maple Mesquite ?? ?? Price $0.00 $4.00 $4.50 $5.00 $1.50 $2.00 $2.50 ?? ? ?